Man Overboard may be on hiatus right now, but frontman Zac Eisenstein still needs to get all those emotions out somehow. His new side project Bright Green consists of him and an acoustic guitar, and it seems like something he could easily flit to in breaks from his main outlet. EP The Highs Are Getting Lower is deeply specific and personal – very unlike the more general way his and co-frontman Nik Bruzzese’s struggles were painted in Man Overboard’s lyrics – and it’s obvious from the get-go that this is a cathartic release for Eisenstein. It’s something Some Kind Of Way’s confessional yet slightly clumsy lyrics and highlights well. Closer The Guy’s Not Always Gone Like I Am is impossible not to empathise with, and is far and away the EP’s standout, being the track that works best as a standalone entity. But in all honesty, half of The Highs Are Getting Lower just doesn’t work unless it’s a start-to-finish listen. The one-two of short bursts Cody’s Tattoo and Salty are driven by flimsy guitar and the whinier edge to Eisenstein’s voice, which don’t let them land as steadily as longer cuts. It makes the material seem slightly contrived – something naysayers would quickly jump onto as proof that Eisenstein can’t move away from pop punk tropes. In reality, that’s far from the truth. There may not be too much technical skill involved here, but the pretty plucking of Still certainly shows a level of disregard for the genre in terms of this current project. Even those weaker extracts have a rawness to them that would be hard to achieve with Man Overboard. While it might not be totally listenable, the catharsis Eisenstein felt making this seems to be embedded into the record, and only a skilled lyricist can do that. 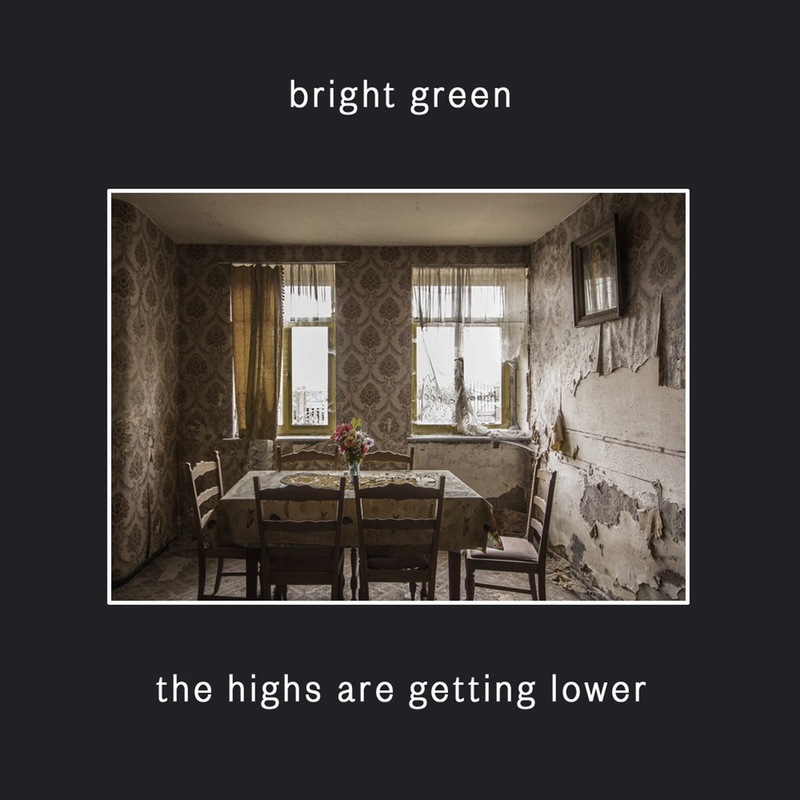 ‘The Highs Are Getting Lower’ by Bright Green is out now.